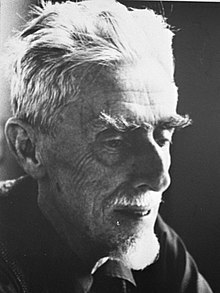 B'ealaíontóir grafach as an Ollainn é Maurits Cornelis Escher (17 Meitheamh 1898 –27 Márta 1972), ar fearr aithne air mar M. C. Escher (Ollainnis: ˈmʌurɪts kɔrˈneːlɪs ˈɛʃər(cabhair, comhaid)). Tá aithne fhorleathan air as a chuid greanntaí adhmaid, liotagraf, agus ''mezzotint''-eanna a thógann tinfeadh ón matamaitic. I measc na rudaí atá le feiceáil iontu tá tógálacha neamhfhéideartha, plé ar an éigríoch, an ailtireacht, agus teasaláidí. Tugadh an leathanach seo cothrom le dáta an 1 Nollaig 2018 ag 13:35.